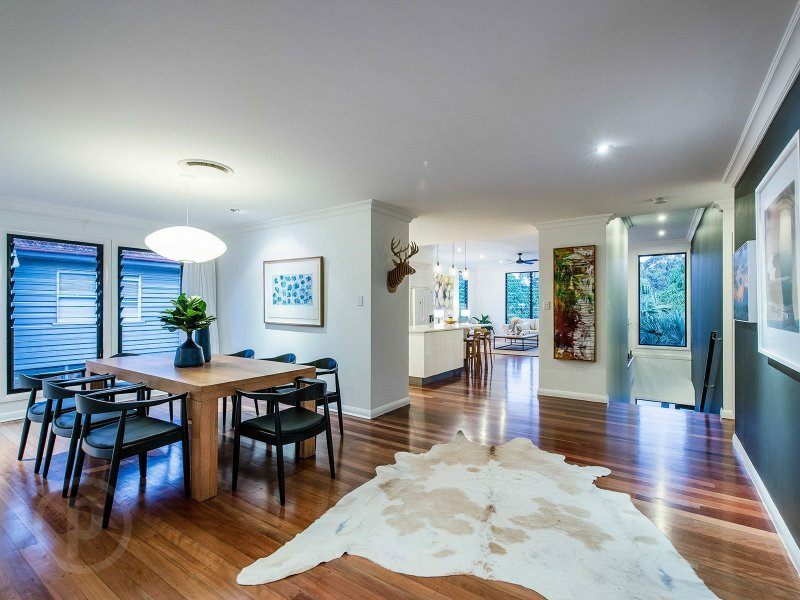 This lovely family home located on Brisbane's Southside was to be sold. The client wanted it looking perfect for sale with modern and functional lighting. We visited the home to asses what needed to be done. There was some repair work as well as some new lights an fans to be fitted. We did a lighting design with the client and helped them choose amazing stand out pendant lights to be fitted above the kitchen island bench as well as the dining room table. We also chose functional lighting options for the living areas, hallway and bathrooms, including down lights and up lights. In the living area and bedrooms we fitted new matt black fans as they are also very modern. Downstairs a new kitchen was fitted to accomodate dual living buyers. 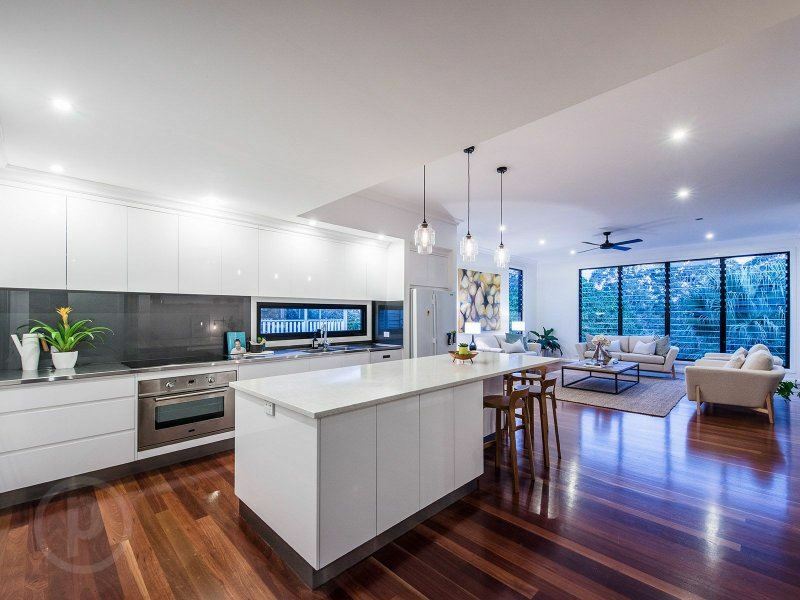 We fitted off the stainless steel appliances, put in functional down lights and under bench LED’s for that extra wow factor. Outside a new intercom system was fitted at the front gate. A new alarm system was also installed. 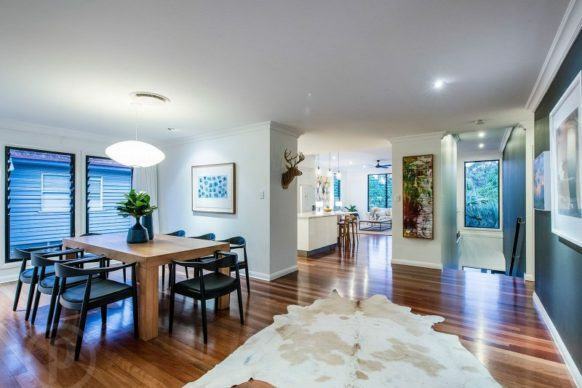 The client wanted all of the buyers needs to be met to ensure a premium price was reached at Auction. 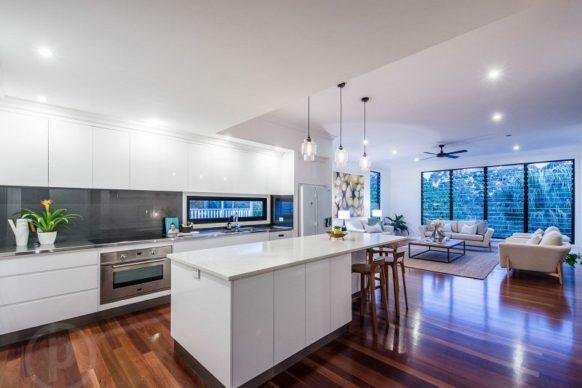 The house looked incredible for Sale and really appealed to the high end property market, achieving a price in excess of 1.3 million dollars.